If this book were a sound, it would be the roar of a motorcycle down an empty road; bold, and for the moments when it’s in your path, dominating of all your senses. This book swallowed me and churned me in its guts and, as all good books should, spit me back out, a little bit different. Its premise is not unfamiliar: a woman is called to return to her home as her grandfather nears death to say goodbye, and finds more waiting for her than she had anticipated. But Lucashenko renders this framework classic rather than clichéd. Melissa Lucashenko’s name has been synonymous with vivid characters negotiating the complexities of belonging since her debut novel Steam Pigs was released in 1997. Tangled and tumultuous relationships are her hallmark, and the Salters, the family around which Too Much Lip centres, are no exception. The story boils with emotion, and its characters carry scars both physical and invisible from their shared past. Jim Buckley, the land-grabbing white mayor of Durrongo, slights Kerry nearly as soon as she arrives home, and threatens a beloved site of family history for the Salters. Drawn into the fight for her family’s land, Kerry is a reluctant activist, her cleverness and rage useful weapons against greedy developers. While it would be easy to call Jim Buckley the antagonist of the novel, he is only its human form: personifying white selfishness and the disrespect of Indigenous people that is all too persistent, in fiction as in historical fact. White Australia’s callous disregard for Indigenous people is the social and structural violence at work in this novel; and slaying it, or chipping away at it the best one person can, is Kerry’s heroic journey. Too Much Lip is thus as much about repairing past damage and safeguarding against future destruction as it is about new romance. The Salters distance themselves from each other in ways literal and metaphoric. They are tough, loving, violent and soft by turns, never easy and certainly never dull. Kerry’s older brother Ken drinks and rages without quite knowing why, his son is entranced by the escapism the computer screen offers, and her mother’s Tarot cards guide her way through the world. Kerry and her middle brother, Black Superman, have put physical distance between themselves and Durrongo, and their sister Donna, missing since her sixteenth birthday, is a gaping hole of absence in the Salter family. Despite—or perhaps because of?—its depth, Too Much Lip retains much of the dark comedy for which Lucashenko’s 2013 novel Mullumbimby was so well received. Winner of the Queensland Literary Award for Fiction, Mullumbimby also circled themes of the bittersweet familial obligation and the sacredness of land, though Too Much Lip arguably pushes Lucashenko to darker and more personal places. 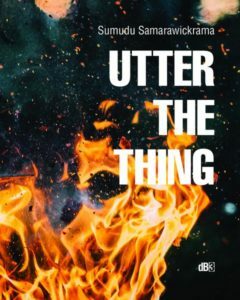 Lucashenko herself described the writing of Too Much Lip as “frightening” and “retraumatising”, and while the enduring rawness is evident, the novel reads as anything but fearful. Lucashenko’s characters feel real and personal. The first chapter is preceded by a quote from a 1908 court case, where an Indigenous woman has shot a man. This woman, Lucashenko reveals, was her great-grandmother, Christina Copson, and a source of inspiration for Too Much Lip’s incisive depiction of the white people in power in Durrongo. Early in the novel, Kerry stumbles on a quintessentially-Australian image of sublime natural horror- a crow, having tried to eat a dead brown snake, has caught its head in the skeleton of the snake. This grotesquery is Australia writ-small; a penetrating force attempting to invade that which it does not understand. Three other crows that have gathered near the snake speak to Kerry in a mix of English and Bundjalung, a moment which allows Lucashenko to establish the uniquely Indigenous realism of her novel. “The snake-crow tilted its mutant head at her. ‘Gulganelehla Bundjalung’. Speak Bundjalung. A test of good character. Moments like this evoke Alexis Wright’s The Swan Book: terming them as ‘magic realism’ undermines the deft translation of an Australian experience as real and complex as any described by a Tim Winton or Christos Tsiolkas text. Too Much Lip doesn’t gesture at universality, or attempt to speak for anyone. Instead, it speaks personally on shared issues of family, home and loss. “Maybe it was a dog to begin with, or a doob, for that matter. But make no mistake. That mountain’s a fist now, girl.” Pop told her, letting his arm drop. He looked at her in anguish. Memories like this proliferate the novel, as the Salter siblings attempt to make sense of their past and protect their future. Lucashenko’s writing is never sentimental, and yet the careful revelation of the secret darkness rotting the heart of the Salter family is deeply moving. By lovingly sketching characters who are deeply flawed, Lucashenko hints at redemption without the need for saccharine prose. It was fascinating to read this book in the wake of the debate over the cogency of Erik Jensen’s decision to disqualify from the Horne Essay Prize “essays by non-Indigenous writers about the experiences of First Nations Australians”. While it’s a complex issue I wouldn’t presume to be able to solve, I was struck reading this book the importance of telling your own story, your own way. What makes Too Much Lip not only engaging while reading, but memorable, is its tangible roots, which burrow deeply into the realities of Australian existence, through the author, this country, and now, this reader. Lucashenko, Melissa. Too Much Lip. QUP. 2018. Pp. 9, 59, 64. Wright, Alexis. The Swan Book. Giramondo Publishing, 2013. CAITLIN WILSON is a Melbourne-based student and writer of criticism and poetry. Her poem was recently short-listed for the University of Melbourne Creative Arts poetry prize, and her criticism can be read in Farrago and The Dialog, among others.